“When [Peter] realized this, he went to the house of Mary…, where many were gathered together and were praying. And when he knocked at the door…, a servant girl named Rhoda came to answer. Recognizing Peter's voice, in her joy she did not open the gate but ran in and reported that Peter was standing at the gate. They said to her, ‘You are out of your mind….’ But Peter continued knocking, and when they opened, they saw him and were amazed” (Acts 12:12-16). This is one blog entry that is long overdue. Many times I have sat down to write but never seem to have gone beyond the first few paragraphs. Reason? It was not a straightforward trip. As far as obtaining visas is concerned, my trip to Australia and New Zealand was one of the most frustrating trips I have ever made in over twenty years of international itinerant preaching. The mistake I have made in the past is that I have tried to tell the whole story—both the visa frustrations and the work of ministry—in one blog entry. It has proved impossible. So, I have decided to break it into two blog entries. This first one will be on the bad news—my frustrations in trying to obtain my visas. Then when I post my next blog, I will talk about the good news—my ministry in preaching God’s Word. Thankfully, in the “bad news” you also see the power of God in answer to the prayers of his people! I was out in the bushes of rural Petauke at a Covenant College Trust meeting on Thursday, 25th March, when I got a text message from my ministry assistant, Seke Lupunga, that I had been denied a visa to Australia. I was too far away to do anything about it. When I returned to Lusaka on Saturday, 27th March, I found the elders under pressure from the brethren in Australia—especially from Israel and Carol Malekano (picture above)—to ensure that I travelled to South Africa to try again to obtain my visa. Monday, 29th March, was spent trying to get my passport back from South Africa. I got it just before midnight! So, on Tuesday morning, Ronald Kalifungwa rushed me off to the airport and I flew into OT International Airport in South Africa. I was picked up by Patrick Nwonganyi, a brother from Lynnwood Baptist Church. As we made our way from the airport to the Australian Embassy in Pretoria, we hit a traffic jam due to a car accident and lost nearly one and a half hours. Despite all this, we managed to submit my papers afresh a minute or two before the agency that accepts applications on behalf of the Australian Embassy closed. Phew! The next day, Wednesday, 31st March, was spent trying to push the Embassy—by way of phone calls and visits—to do for me in one day what they said normally takes ten working days. They made it clear to me in less-than-friendly tones that I was going to have to wait for them to do things at their own pace. In fact, as it turned out, the Australian Embassy had not denied me a visa previously. It was the agent who told the person who was submitting my papers that I was applying on the wrong forms. That was all! So, as far as the Embassy was concerned, this was my first attempt at applying and they were, therefore, not going to give me any preferential treatment. It was frustrating but the Lord gave me peace. Since I was to fly out to Australia that evening, I missed my flight. I was staying at the home of Wilhelm and Laura, who were members of Lynnwood Baptist Church, and that night they had a prayer meeting in their home. They fervently prayed to the Lord to intervene in my situation. I missed the prayer meeting because I had an out-of-town visitor who took me out for dinner. But even there we prayed for the Lord’s intervention. 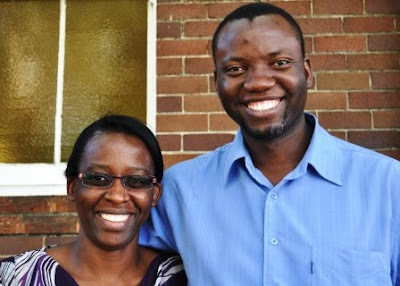 Israel and Carol Malekano told me, when I got to Australia, that they could neither eat nor sleep, as they also sought the Lord in much prayer. 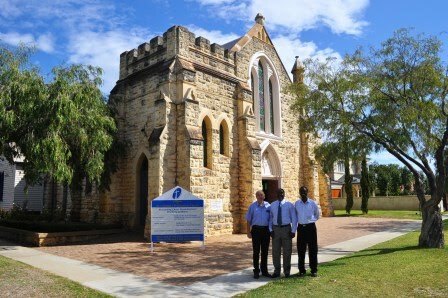 They said that they also rang up a number of Zambians in Australia in the middle of the night to wake up and pray. Back home, the elders at Kabwata Baptist Church got word out for the purpose of prayer. The following day was Thursday, 1st April. I rang the Embassy and was told to check on them in the afternoon. By early afternoon I made a visit to the Embassy and, lo and behold, my visa was ready! I was driven to pick up my luggage at my hosts’ home by my out-of-town visitor (Musa Phiri) and we rushed off to the airport. I found there that the flight was fully booked and so I was wait-listed. In the Lord’s providence, after paying an extra $700, I was given a seat on the flight five hours later when they closed the gates. In fact they had to reopen them to just squeeze me in. As it turned out, the flight was delayed for another five hours, which meant that I travelled to Australia with irate passengers, who kept saying a lot of unprintables to airline officials. I tell you, it was not a pleasant flight. But, anyway, that is how I got to Australia on Good Friday in the evening. I had missed my first preaching engagement that same day in the morning (at the church pictured above, where we had yet another meeting a few days later), but all the others went on as scheduled. (Details of the time of ministry will be given in the next blog entry). As soon as the Easter holiday was over, we sent my application for a New Zealand visa by express mail to the New Zealand Embassy in Sydney on the eastern end of Australia. That was on Tuesday, 6th April. 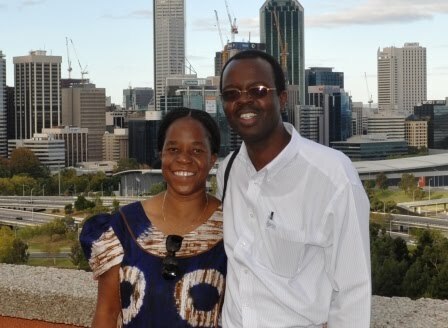 On Thursday, 8th April, I flew across Australia from Perth to Sydney for ministry and was received at the airport by Luckson Silweya, a former member of Kabwata Baptist Church. Later in the evening, he took me to the home of Basil and Nicki Yakoubi, my new hosts (see family picture below). On Friday morning we got a call from the New Zealand Embassy that they could only issue me with a visa if the Australian Immigration would give me a transit visa on my way back home, since my airline itinerary showed that I needed to touch down in Perth en route to South Africa. When my hosts took my passport to the Australian Immigration, they were told that I could only get a transit visa if I went out of the country first. It was a catch-22 situation: I needed to go out of the country first (and New Zealand was the nearest place) in order to get a transit visa for Australia, and yet New Zealand could only accept me on their soil if I had a transit visa for Australia in my passport! We were thrown back into a time of intense frustration and prayer. Clearly, this trip was receiving a lot of attention in both heaven and hell! It was with this confusion hanging over my head that I ministered across the weekend in Sydney (details in the next blog entry). Again, the Lord gave me much peace. My flight to New Zealand was set for Wednesday, 14th April. I spent Monday and Tuesday with Luckson shuttling between the New Zealand Embassy and the Australian Immigration. Thankfully, the Australian Immigration immediately saw that a mistake had been committed by their Embassy in South Africa. But they insisted that there was nothing they could do until their South African counterparts gave them the green light to make the correction. They asked us to check on them the next day. We passed through the New Zealand Embassy to let them know that we would be there the next day with the transit visa and asked if our application could be processed the same day. The man across the counter was non-compromising. He made it clear that it normally took at least three working days and he was not willing to start looking at the application until the passport was returned with the Australian transit visa inside it. We thanked him for being very helpful! The next day, Israel Malekano, who was also pushing the Australian Embassy in South Africa to correct their mistake, got an email from them asking us to send my passport to South Africa for them to make the correction. When he wrote back emphasizing the fact that I was in Australia and my flight to New Zealand was the next day, he got a replying saying that they would get back to him—and they never did. The Australian Immigration also told us that they had heard nothing from the South African office and so there was nothing they could do. Luckson told the officer at the Australian Immigration office in an uncompromising tone that it was their department that messed things up, and so it was their department that needed to clean up the mess. With that, we spent some time in prayer and again experienced the power of God in answer to the prayers of his people. Even before we said, “Amen,” Luckson’s phone rang. It was his wife (the two of them are on the photo above). She said that the Australian Immigration were frantically trying to get him because they wanted me to take my passport to their offices so that they could issue me with the transit visa. What suddenly made them change their minds? We believe God answered our prayers. We rushed there because time was of the essence. Upon walking into the visitor’s lobby, an officer asked us whether we were the ones trying to get a transit visa. When we confirmed, he shouted across the entire floor, “They are here! Chris, they are here!” He personally escorted us to a counter where I was immediately given a transit visa. From all this, I learnt the importance of prayer. Anyone who has ever dealt with Embassy officials knows that the wheels of bureaucracy grind very slowly. However, there is One in heaven who can move them at an amazingly quick pace—and that is God. He is sovereign. He can say, “No” or “Yes” in answer to prayer according to his own wisdom. What matters is that we lay our pleas before him and do what is in our utmost strength. After that, we must learn to leave the rest to him. When he shuts a door, no one can open it. But when he opens a door, no one can shut it. That is what happened in the case of the apostle Peter in the Book of Acts—much to the amazement of believers. I believe that this is what also happened a few weeks ago, much to our amazement. It was God who opened this door to Australia and New Zealand—and no power in heaven or earth could shut it. Let us, therefore, be encouraged to be a praying people. Amen! I can't suppress the thoughts: 1. God is sovereign ruler of the skies. Not one plane will leave the ground and enter his heavens without his say-so! "Not a single wing will lift, until the God of love sees fit." 2. There must have been some very puzzled airline officials on that day trying to work out just how they had ended up 5 hours late! And whether they deserved the unpleasantries they endured at the hands of their passengers (except 1)! Yet God was not the author of the sin of your fellow travellers in murmuring at his purposes or hurling insults at his servants, whom he was merely using, after all, to bring his ministry to his people in Australia and New Zealand! Praise God from whom all blessings flow; Praise him all creatures here below! Praise Him above, ye heav'nly host; Praise Father, Son, and Holy Ghost! What an inspiring account: can't wait for the next instalment. Don’t believe it. Not everyone the Lord helps says, ‘Thank you,' but we do so from the bottom of our hearts. We were blessed hear you in New Zealand. Looking forward to your next post. "When the enemy shall come in like a flood, the Spirit of the Lord shall lift up a standard against him." – Isaiah 59:19. Forever grateful for the opportunity to be so blessed through the faithful ministry of God's servant aganst all odds. Preaching cannot be taught; it must be caught!